Highlighted ministry news and thoughts from people at Foothills Church. Foothills Church is excited to have Andy Ulrich on board as our worship pastor. Here, Andy shares with us how God’s grace is evident in his life and his hope for Foothills. I was born and raised in Spokane, Washington, in a loving, Christian home. When I was 4 years old, I was diagnosed with neuroblastoma, a rare form of childhood cancer in the nervous system with a 96 percent mortality rate. By God's grace, He spared me in a miraculous fashion, turning the malignant tumors benign. Aside from cancer, I had a fairly normal childhood. I played baseball and loved fishing. I realized at a young age that my sin separated me from God, and I put my trust in Christ as my Lord and Savior. My teenage years were very formative to my faith. I changed schools many times and I had to rely on Christ and His strength. In my junior year of high school my cousin invited me to his youth group and my eyes were opened to a new world. I experienced modern worship music for the first time. I was intrigued, as it was so different from what I was used to, and I got involved. Over the past 20 years I have been blessed to lead worship in a wide variety of settings from large conferences to small churches. I attended Washington State University in Pullman, Washington. I got connected with Cru (a ministry to college and university students) and began playing and leading worship in their weekly meetings. I had another experience that lit a fire in my heart during my time at WSU. I started meeting with a Cru staff member for weekly discipleship. As God worked in my heart and life, He also grew a passion in my heart for discipleship. I graduated from WSU in December of 2005 with a degree in Hospitality Business Management. Shortly after graduating I married Kate, my college sweetheart. We have three amazing kids: Gracie, Sadie and Judah. My hope for Foothills Church is that it would be a place of authentic worship, rooted in spirit and truth. A place where people engage God in a real way and the gospel is lived out in our daily lives. I desire that prayer would be a foundational element of our church as we grow in faith and dependance on God. We are happy to announce the hiring of our new Worship Pastor, Andy Ulrich! Thank you for your faithful prayers over the past few months. God was very gracious to us in the process and in many ways it went about as well as we hoped. Andy comes to us with many years of experience leading worship. He has led worship in small and large churches, for established churches and church plants, for startup student ministry programs and for Cru conferences with over 1,000 students. Along the way, while part of a church plant, Andy became an Ordained Minister in the Southern Baptist Convention. Andy loves Jesus and has a heart for worship ministry. It jumped off the page when he first inquired of the position and communicated, “My passion is to see God glorified and His people engage Him in passionate worship rooted in spirit and in truth. I firmly believe that worship, in addition to glorifying God, is one of the most important discipleship tools in the church today.” We are excited to have him lead us in this! On a personal note, Andy was born and raised in Spokane, currently residing in Cheney, Washington, a city of roughly 10,000 people. He & wife Kate have been married 12 years & have three kids: Gracie (9), Sadie (6), and Judah (4). They are in process of packing up their belongings, selling their house, and saying good-bye to family and friends in order to move to our community. They will be with us by the end of September. Obviously, please be in prayer for them as they have many tasks to complete to get here including finding housing in a very limited market. Also, be in prayer that Foothills would be a place where they plant their roots deep, where they are loved, and where their faith grows. 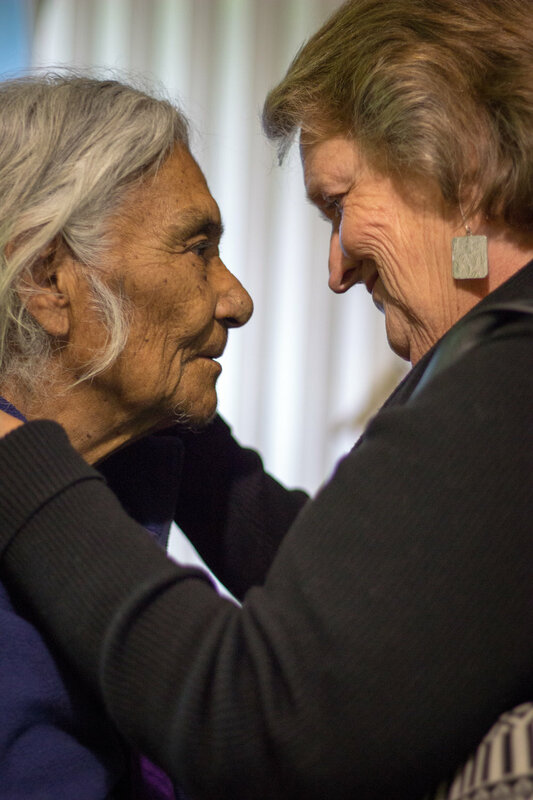 I had been dreaming of going to Oaxaca with Ilene Nagle since my first trip to Papalote, in Baja California, for a church mission trip. On that trip, in 2011, we met a woman named Nati, who was planning to move to Oaxaca with her husband Beni and plant a church there. Now, Papalote is a three-day bus ride from Oaxaca, so I was curious about the reasons for going to Oaxaca. 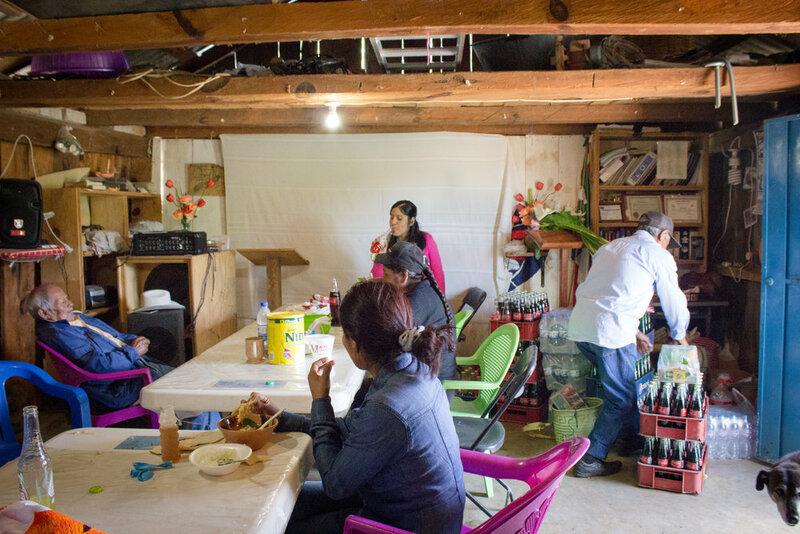 I learned that Beni and Nati were among the students and spouses who attended the Bible institute in Papalote, but had moved to the Baja from Oaxaca and were returning there to start church plants. I learned that this represented a huge leap of faith for these families as they had left Oaxaca years ago and some had left abusive family situations and difficult living situations (limited resources in terms of work, money, water, electricity, and most things we accept as “normal” living). As I heard some of these stories, they made me want to go and see the people and villages for myself. So when (seven years later) Ilene Nagle called and asked if I would accompany her as a photographer, I jumped at the chance. I learned so much on this trip, but one thing that keeps coming back to me is the urgency our Mexican brothers and sisters have to share the gospel. From Junior's aunt in the hospital, to our hotel keeper in Chalcatongo, opportunities abounded to share Christ's love with others. Among my favorite things on this trip was traveling with Pastor Francisco (Junior) and Maria Campos, who I met on my 2011 trip to Papalote. They had planted a church in a nearby community that met on a bus. The bus church eventually turned into a church building and home. Those two are not ones to sit on their laurels, however. 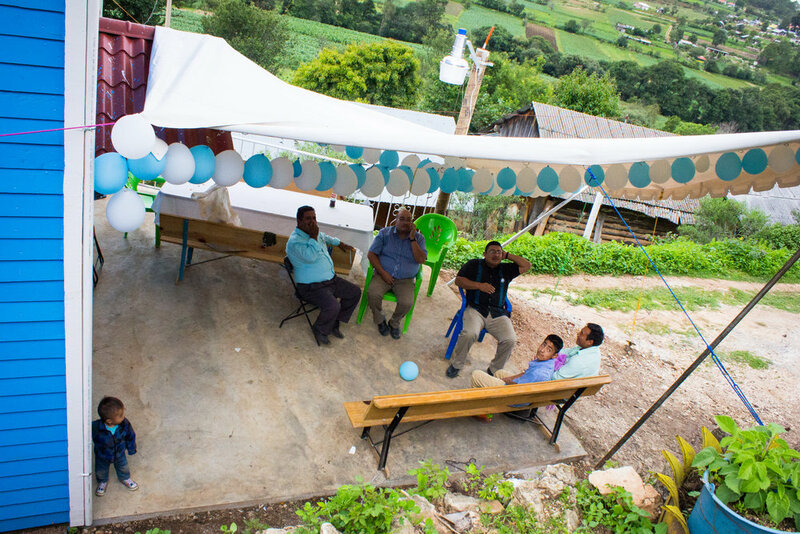 Since that first church plant, they have planted a church in Oaxaca. Currently, Junior is the back in Papalote and is pastoring the church there. My guess is they will plant more churches in the future. They will be in my prayers for a long time. I made many new friends on my travels. You'll see their photos in the slide show. 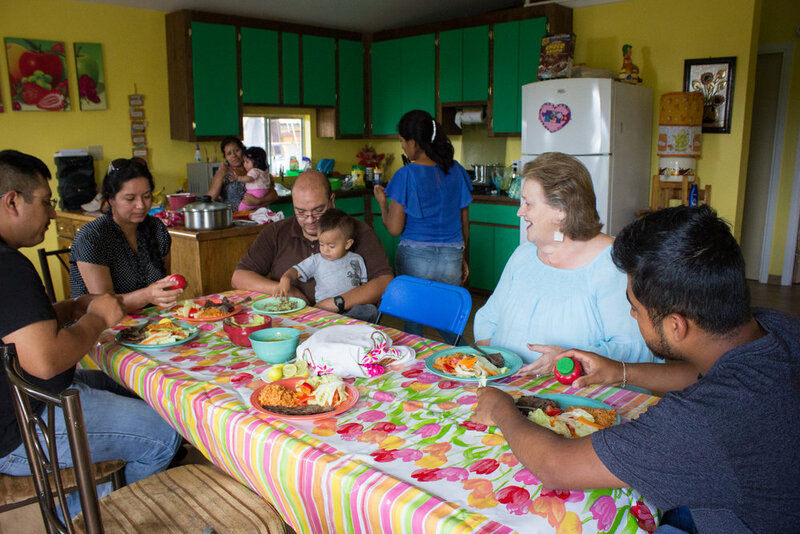 What amazes me about the Papalote mission, the student and pastors is how easy it is to start a relationship with strangers who speak a different language. This is because we are knitted together through Jesus Christ and his saving work on the cross. I also loved getting to know Ilene. She and her husband Don are missionaries (with Northern Light Ministries) who, among many other things, help make trips to Mexico possible for our church. Don wasn't able to take this trip, so it was up to Ilene and me to be the estadounidenses. We had a lot of fun together and she was always pushing me (in a nice way) to go a little bit out of my comfort zone. She speaks wonderful Spanish. I have promised myself that I will learn some more Spanish before my next trip to Mexico. I'm practicing now because I hope that trip is coming soon. 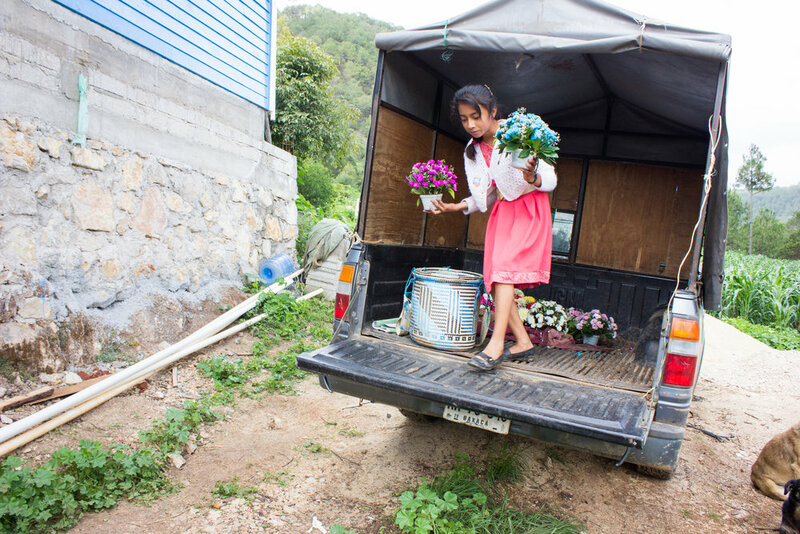 Not long after landing in Oaxaca City on June 25, we drove to the home of Junior’s relatives. His aunt was in the hospital throughout our visit. Here, the family prays before Junior’s uncle takes food to the hospital for the staff there. In Mitla, Oaxaca, at the home of Diego and Luz Elena. The building in the background is the beginning of a church. It also contains a small apartment where Chuey and Marisol live. The group meets for a meal at the home of Diego and Luz Elena. 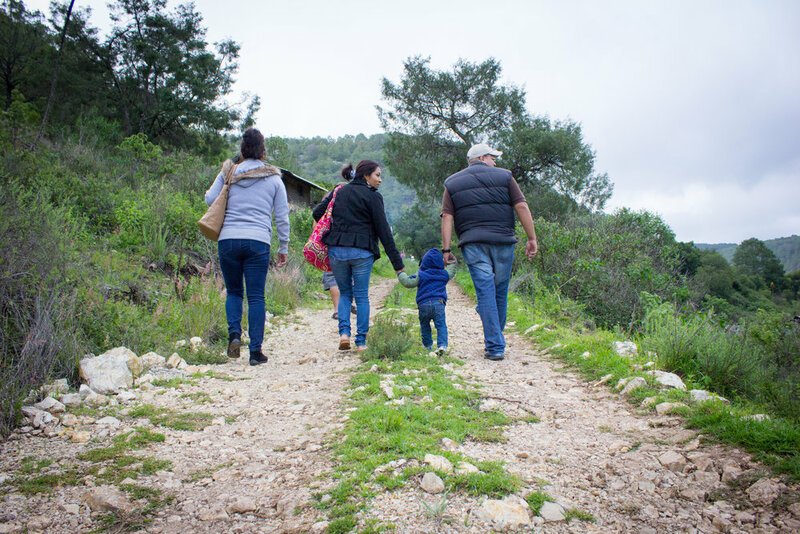 On June 27, Ilene, Junior, Maria, Manuel and I traveled to another part of Oaxaca. Here, Junior tries shoes on in a market where we stopped along the way. 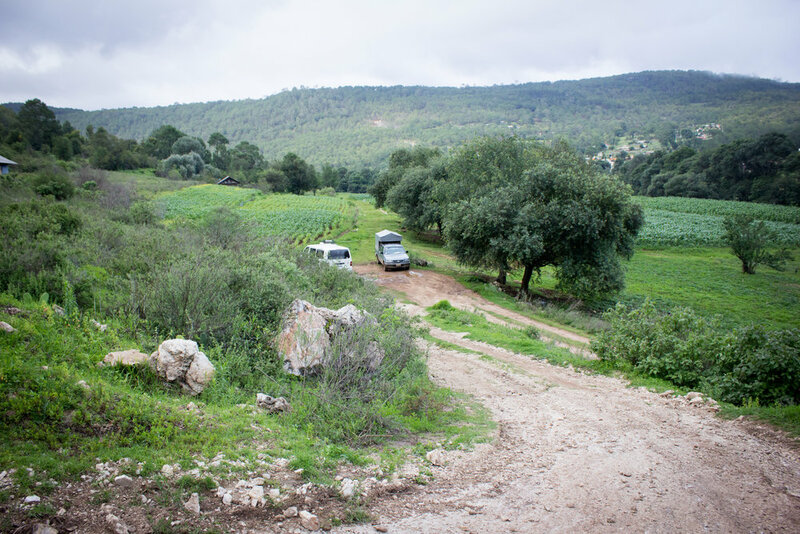 Here we are arriving on the outskirts of the village Barrio. 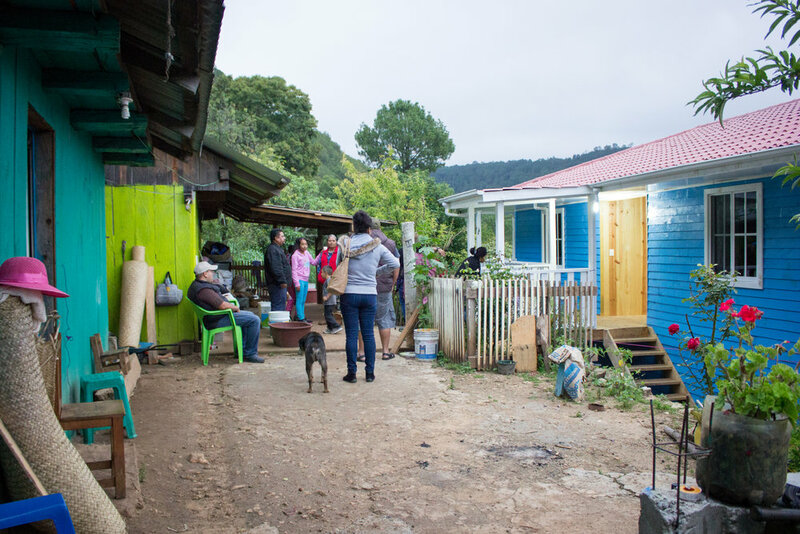 Junior and Maria lived here and planted a church before being called back to Papalote. The Barrio church is now pastored by Beni and his wife Nati. 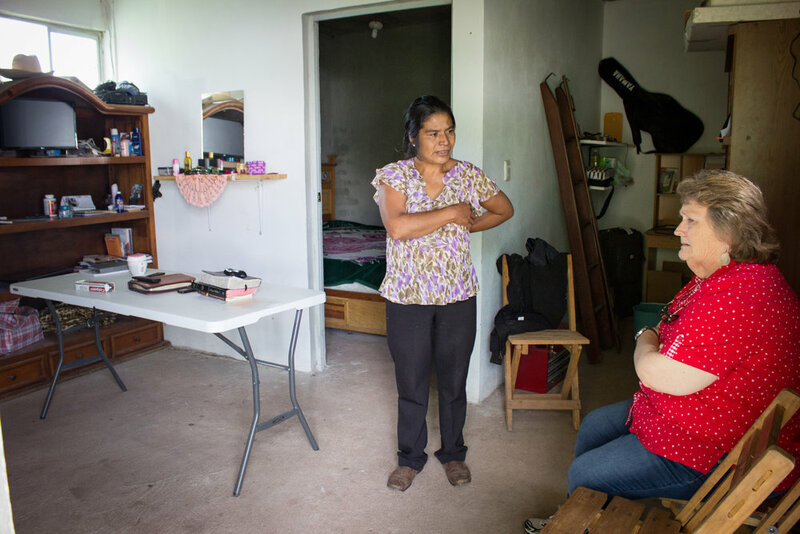 Nati shares with Ilene some of the health concerns she and her family encountered. They all have a mysterious rash that Ilene will try to diagnose. A view of the Barrio countryside as seen through Nati’s kitchen. Praying with Beni and Nati. 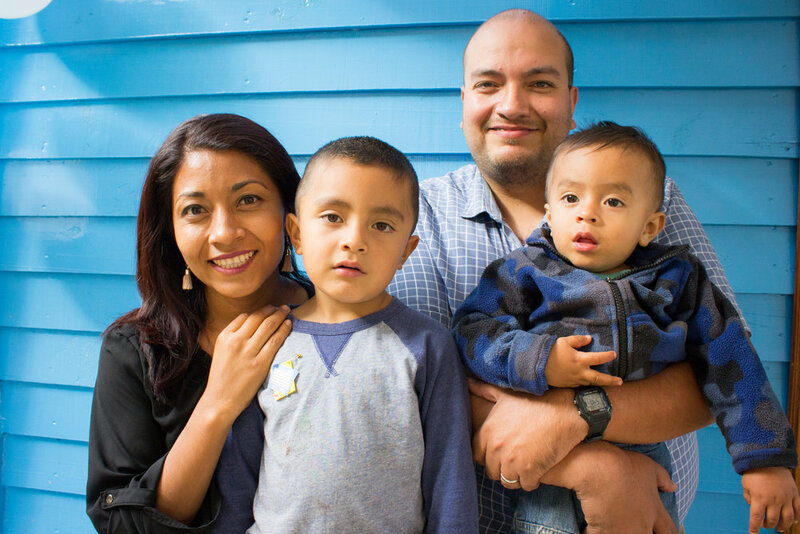 From left, Beni and Nati’s son, Ilene, Junior, Maria, Beni, Manuel and Nati. A neighbor in her kitchen, making a luncheon for all of us. 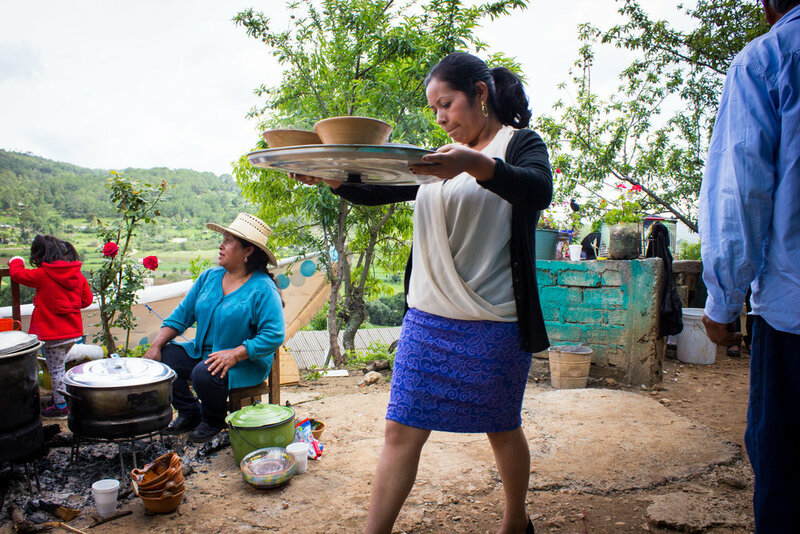 In the villages, women cook over open fires in rooms separate from the homes. Junior stops along the Barrio road several times to chat with people and relatives of his. He found out after being called to Barrio that a lot of his mother’s relatives are in the area. The beginning of a local river in Barrio is shown here. Similar to the Metolius here in Oregon. The town of Chalcatongo, where twelve of us caravanned on June 28. Ilene and I spent four nights here, spending the majority of our trip with the Ruiz family and their church body in the village of nearby Chapultepec. Our reason for taking this trip: to spend time with and minister to the family that planted this church nine years ago. The church building is brand new and we will celebrate with a dedication. 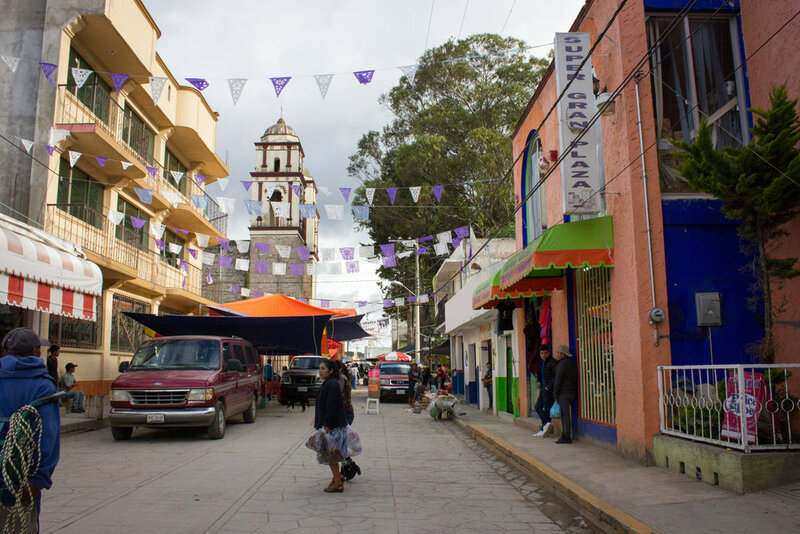 The road up to the home of Senen and Bernardita Ruiz in Chapultepec, Oaxaca. Maria snaps a picture with her phone of the new church. The Ruiz family home is on the left; the church is on the left. Inside the room where the church met before building the new two-story structure on the hill. On the wall is a drawing that represents their dream of building a new church. Lots of food prep for the celebration. The chickens are all from Bernardita’s flock. Setting up in the sanctuary. A worship team from another nearby church volunteered to lead worship for the celebration. Counting out tortillas. All of the families who came brought cases of soda and stacks of tortillas. The church will repay these donations as needed by the families. Maria, Chuey, Diego and Junior in a lull before guests start filling the sanctuary. Senen told his congregation that they are the true church being celebrated. The building is part of the ministry, but they, the people, are the real church. A packed house. Many of the families that Senen and Bernardita invited have expressed an interest in the church, but are not considered Christians. Junior and Diego present Bernardita and Senen with flower necklaces. Ilene is overwhelmed when Senen and the other pastors present her with a plaque of gratitude. It is no small feat for them to honor her in this way, in a village where items like this are not made locally. Senen and a church member sing at the end of the service. Flowers are brought in from the nearby town to decorate the tables. 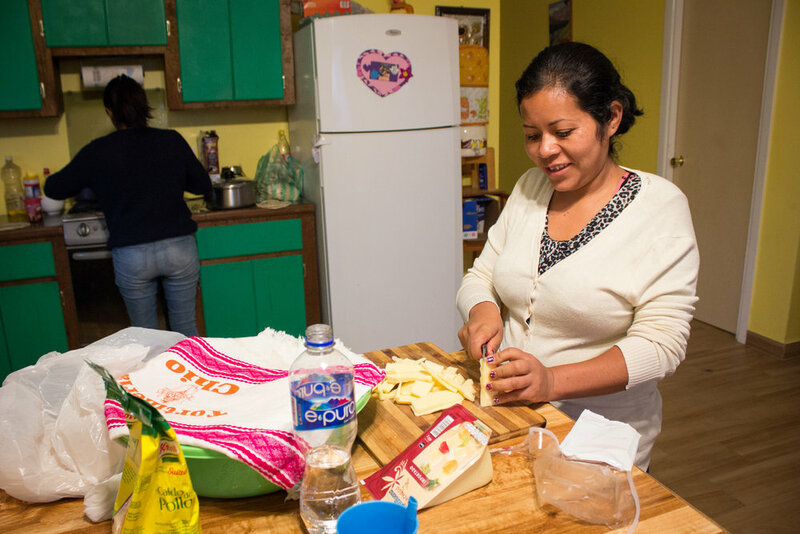 Marisol brings out bowls of chicken mole to serve to guests. The celebration was on a Friday. 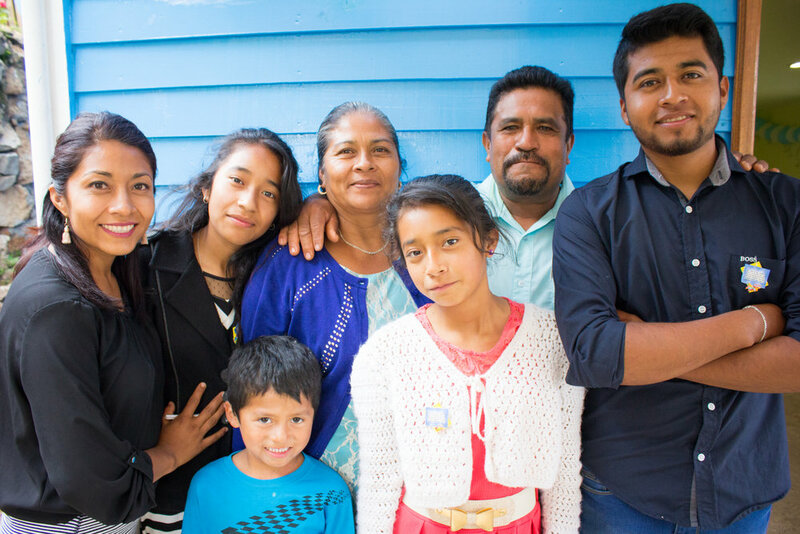 On Sunday, July 1, Manuel gets to lead worship and preach at his father’s church. Ilene brings medicine and other items on her trips. She has met many people over the years, such as these women, and is familiar with their needs. The trip isn’t over without some planning with Senen for future needs of the church and his family. The churches connected with these pastors don’t pay them a wage, although the mission is trying to change that. Their pay currently comes through the support of individuals. A birthday cake is served in Bernardita’s kitchen for one of her daughters. It’s our last night in Chapultepec. Hover over the photos to see the captions. I hope you enjoy them! And if you'd like to hear the audio of me sharing last Sunday in front of the church, you can tune it in here. Below is a call to prayer, information about our plans in the transition from Bart to our next worship pastor, and some details about our worship pastor search. Patience, wisdom and guidance for our church leaders as we receive applications and interact with candidates. The Holy Spirit to lead, prompt, and direct each applicant. For our whole church during this time of transition. For the Hodgson's as they work hard to pack up and move, and also as they say goodbye to deeply rooted relationships. For Rob Baddeley and Myron Jones as they provide interim leadership for our worship teams and lead worship on Sunday mornings. We have two veteran worship leaders in our church who will bridge the gap: Rob and Myron. We have them scheduled out from July 1 through September 2 for now but will continue to add more dates as needed. If you haven’t seen it yet, we posted the job in mid May- see it here. We’ve had several qualified applicants and will be taking applications until the end of June. Rob Baddeley, Troy Croff, Bob Croff and I will be narrowing those applicants down to the top 3-5 to have the Elder Team consider in early July. Our staff will get a time to interact with the candidate and provide insights into how the candidate would fit at Foothills. We’ll introduce that person to several volunteers that Bart worked with (musicians, sound techs, projectionists, lighting, etc). They will be given an opportunity to interact with the candidate and provide us with feedback on the person we are pursuing. Eventually, with God’s leading, we’ll extend a job offer to our next worship pastor. Our hope and desire is to have our next worship pastor in place in the Fall but we are trusting ultimately in God’s timing in all of this. Please don’t hesitate to ask questions. I’m sure there are a few. It’s a great joy to journey together with you all as a church.